The Allante Atlanta car club was established in 1993 to promote the values and quality of the General Motors Cadillac Allante. The Allante Atlanta car club welcomes all car enthusiasts but is especially devoted to Cadillac Allante' owners. Our purpose is to sponsor and promote events locally and nationwide and to engage in technical sessions & tips, social meetings and driving trips. We strive to provide a forum for fellow members to share problems and their solutions. 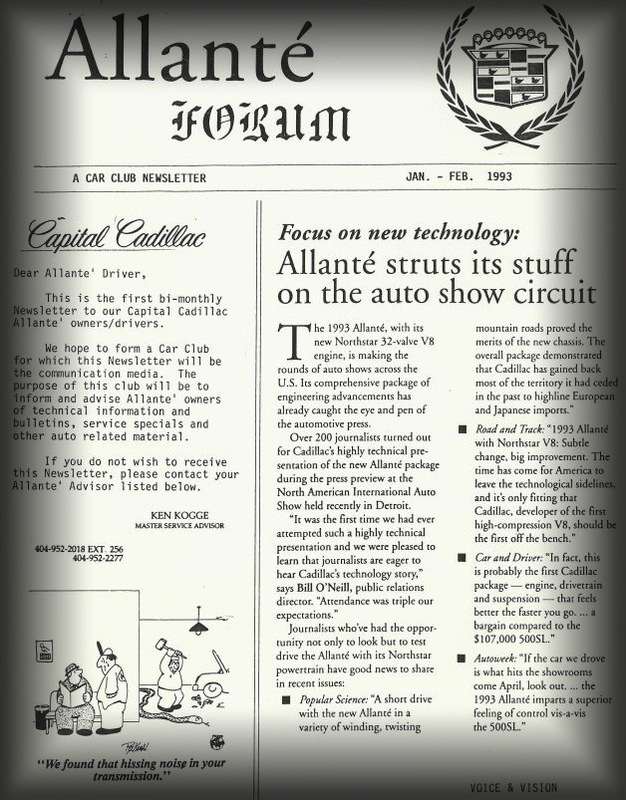 The Allante' Atlanta Car Club has a long history for the Cadillac enthusiast. Especially the Allante crowd. Over the years the club has shared many memories, the passing of friends and the welcoming of many new members. We are looking forward to a great year and encourage everyone to participate often. By looking at our first club newsletter, we can see that we've come a long way. It's hard for me to imagine that many of our members have owned multiple Allante's over the past years. Some still original owners of this fine machine. It's been 20 years since the club was founded and it has come a long way from just hoping to be succcessful! And the purpose of the club after 20 years remains the same. Special thanks for this goes to our strong leadership and their contributions, as well as others contributions and support for the club. 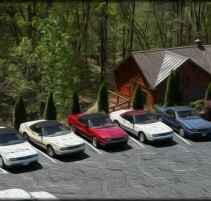 We hope you'll consider a membership in the Allante' Atlanta Car Club. We welcome new members and encourage all of our members to participate to their fullest. We have a lot planned for 2016 and we are planning to add even more events over the coming months. Please continue to support your club.